VIP tickets include preferred seating near the stage. Jess Hilarious is one of the freshest and most highly sought after faces in comedy and she is poised to take the next giant step in her career. She will make her network television debut as the female lead in Fox’s highly anticipated scripted comedy REL, which will premiere this fall. Starring alongside comedy veteran Lil Rel Howry (GET OUT), Jess plays the supportive and kind best friend to Rel while also keeping the laughs coming. Born and raised in Baltimore Maryland Jess is an accomplished stand-up comedian, also known for her appearances on MTV's WILD N’ OUT, and has appeared on Russell Simmons’ ALL DEF COMEDY on HBO, as well as various shows on VH1, BET, and many others. 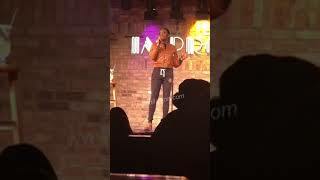 She has opened for comedy legends such as Martin Lawrence,Rickey Smiley, Mo'Nique and Mike Epps. Launching her own comedy tour in the summer of 2017, Jess is now taking the country by storm as a headliner, and continues to sell out comedy venues throughout the country. Jess accredits her work ethic from her parents Kevin and Robin who have been happily married for 28 years and own and operate their own business. Her drive and determination was instilled in her from helping run the family business at a young age.